Paper: Schweitzer, D., et al. "Towards metabolic mapping of the human retina." Microscopy research and technique 70.5 (2007): 410-419. Where and When: Friday 23rd June 2017, 1-1:30 pm, Room 255 (reading room), Kelvin Building, U.o.G. 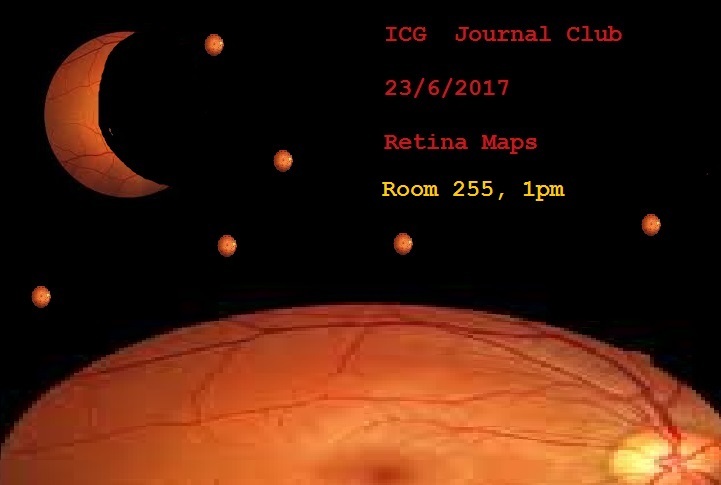 This month's Journal Club will be on Friday, with Julia as a presenter!